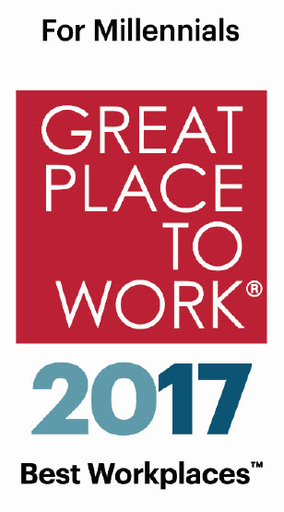 We’re excited to announce Great Place to Work® and FORTUNE have recognized Arthrex as one of the 100 Best Workplaces For Millennials in the country for the third year in a row. Arthrex now employs 1,023 millennial-aged employees born in 1981 or later, with nearly 350 hired in just the last year alone! 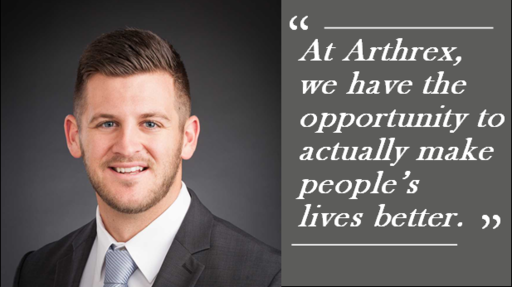 “Millennial employees thrive at Arthrex thanks, in part, to a highly collaborative approach to doing business and a culture that values input from everyone on the team,” said Senior Vice President of Human Resources Kathy Sparrow. The 100 Best Workplaces for Millennials is part of a series of rankings by Great Place to Work® and FORTUNE based entirely on employee surveys from published Great Place to Work® reviews. The ranking considered 398,000 surveys that assessed organizations’ fairness, teamwork, benefits and other elements essential to an outstanding work culture. Arthrex is proud to support our future workforce with positive experiences to learn and grow such as offering internships and co-ops to give students the opportunity to gain valuable practical experience and enhance their professional development. Many millennials also noted Arthrex’s generous tuition reimbursement as a benefit most appealing to them. To see the full list of the 2017 Best Workplaces for Millennials on Fortune.com, click here.